Steam Locomotive Palmerston has arrived at the Bala. She will be operating the Bala Lake Railway's main services while Hunslet 125 is on. 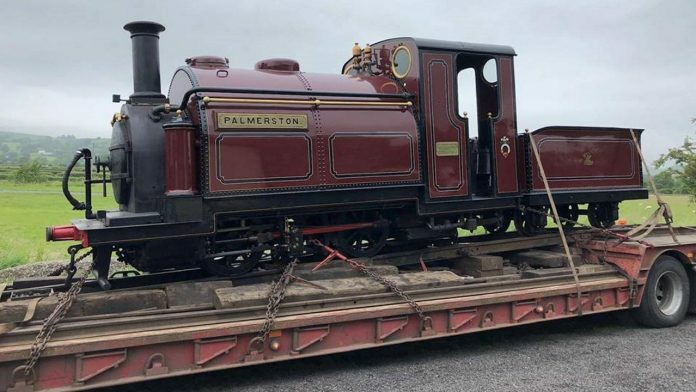 Why is Palmerston going to the Bala Lake Railway you may be asking yourself, well since Bala is Hunslet HQ (By that I mean that Bala's stock is all Hunslets so they are going over to Hunslet 125). The Ffestinog has lent Palmerston to Bala so they can still operate a service while all their locomotives go on holiday. So what locomotives do the Bala Lake Railway, well all of their stock are Quarry Hunslets! Here's the full list, Holy War No.779, Alice No.780. Maid Marian No.822, Geogre B No.680, Winifred No.364.